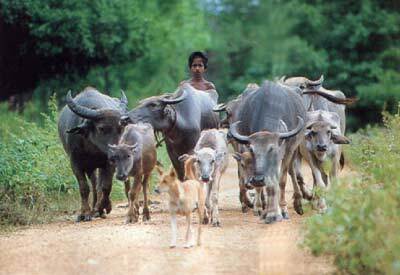 Some 2,500 years ago, Lanka was composed of 24,000 villages. Even today most of it is rural. Although various doctrines have found their way to the island over the centuries, Lanka's living traditions overpowered them all. As in the beginning, even today we still worship trees, hills, rocks, springs and elephants. Traditional villagers zealously protect these ancient forms.